Once you have welcomed your new puppy home, you should begin investigating pet insurance and look into signing your pet up for behavior training. Enrolling your puppy in a dog obedience training class will help make them well rounded and adaptable. 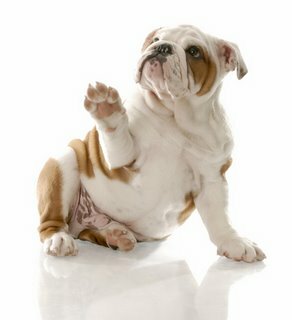 Puppy obedience classes are an ideal opportunity for you and your dog to bond. Creating a strong bond between you and your new puppy will help build a stronger relationship in which you are the leader. Being the leader in your puppy’s life will help to ensure they follow the rules you have established. Another advantage to enrolling your puppy in puppy obedience training classes is socialization. Your puppy will get a chance to socialize with a variety of other breeds. Exposing puppies to other dogs early in their life is crucial for future experiences with dogs. Puppies need to learn how to play and get along with other dogs. In addition to socializing with other dogs, puppy obedience classes allow your puppy to socialize with other people. It is important to take advantage of any instance where you can socialize your puppy and introduce them to different settings and situations. Experiences that puppies have when they are young help shape them into the type of dog they will be when they are adults. Other benefits of puppy classes include learning commands such as sit and stay. Puppies also learn how to walk properly on a leash. The trainers will also offer dog training tips to help make training your puppy easier.